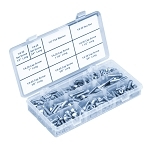 Base Lab Tools 20mm x 20mm construction rails match international standards and have channels that accept sliding t-nuts on all four sides for mounting and building structures around your optical table. 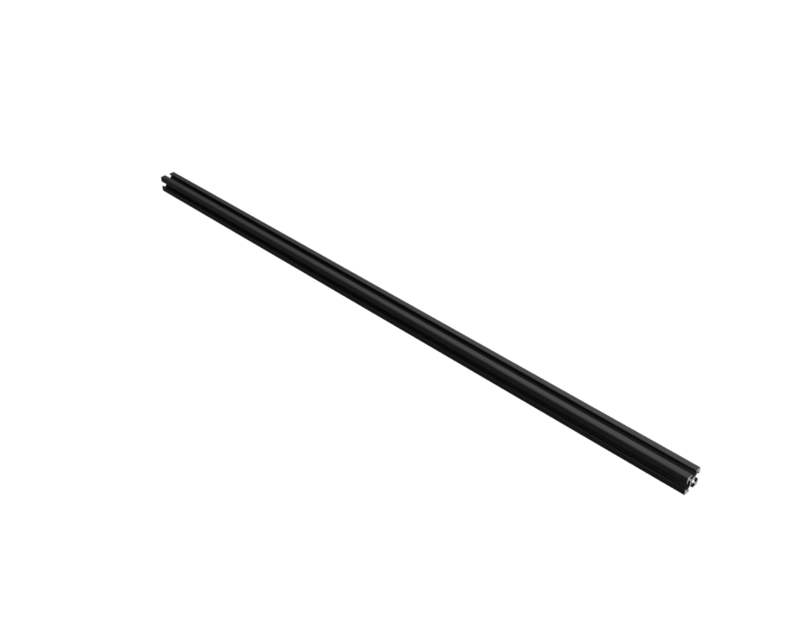 These extruded, black anodized aluminum construction rails are ideal for creating optical breadboard enclosures, instrument shelves and platforms. There is a complete set of construction cubes, t-nuts, and other joining components available from Base Lab Tools as well as 100's of 3D printable mounting parts available freely on the web. At less than half the price of similar non-standard systems available from other photonics suppliers and with the extensive availability of open source parts designed for this extrusion, it makes and ideal new standard for lab constructions. 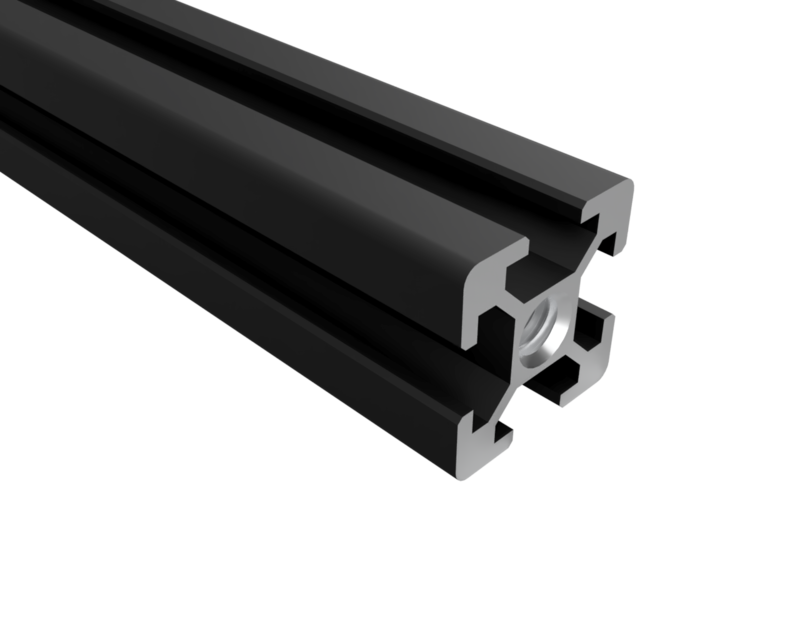 While the sides of these optical construction rails are black anodized, the ends are un-anodized raw cut aluminum tapped 1/4-20 on both ends. 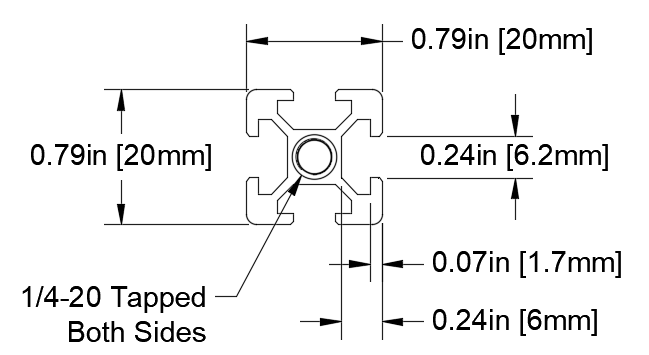 Channels for t-nut mounting on all four sides. International standard offered at less than half the price of similar rails. All aluminum construction with black anodized size and bare aluminum ends. 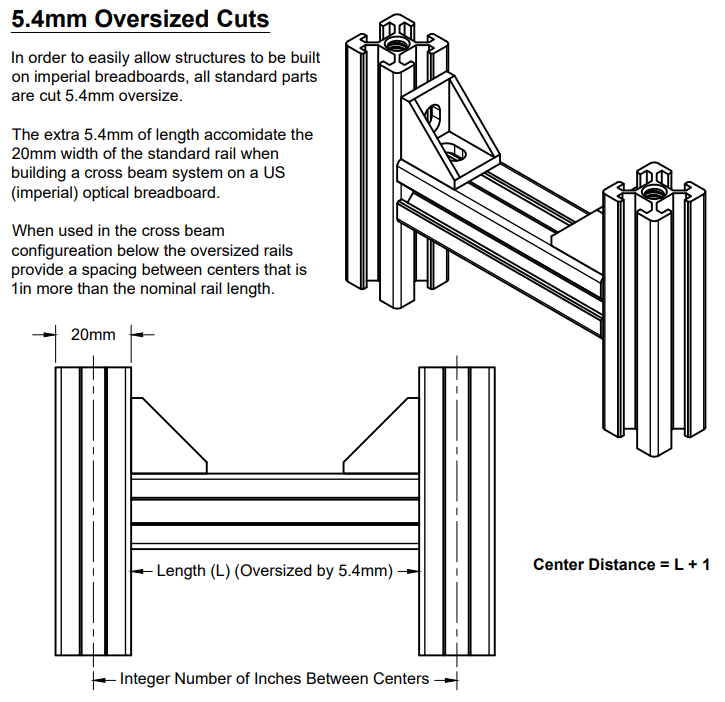 Note - All X2020 US (imperial) length rails are cut 5.4mm over-sized to accommodate mounting on 1" grids. For more information, see the pdf support drawing.